Only next year the fate of ailing bank Hypo Group Alpe Adria will be determined. Foreign investors become more and more cautious about investing in emerging markets. Regions like Central, Eastern and Southeastern Europe are highly dependent on foreign sentiments. In the general assembley of Hypo Group the path was cleared for a further capital injection in the amount of € 800m. According to consulting agency Oliver Wyman, an insolvency of ailing bank Hypo Group would be the most favorable option for taxpayers as instead of domestic banks foreign banking institutes will be burdened. For the Austrian banking sector, the CESEE region is highly heterogeneous. In the first six months of 2013, net earnings totaled € 1.4bn in the region. 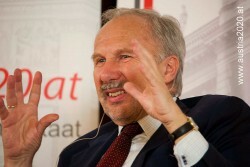 Ewald Nowotny, governor of the Austrian National Bank (OeNB), reiterated his view on Hypo Group. 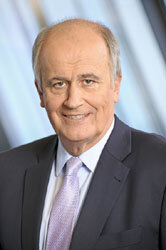 Klaus Liebscher, chairman of Hypo Group’s supervisory board, is strictly against a debt cut at the nationalized bank. 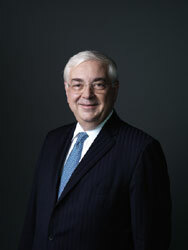 He expects a decision about a bad bank only in the first quarter next year. In 2013, the real income will do down in Austria. Since 2010, the Austrian real income was down by 1.3%. In Hungary, real income fell by 15% in that period. Due to the gloomy economic situation in CESEE and the stagnating domestic economy, Austrian banks suffer from growing non-performing loans. Due to the financial crisis after 2008, foreign investments of Austrian investors have lost in value dramatically. According to the GDP data for some Central and South Eastern European countries published today, economic recovery was backed by a strong increase in export activity. 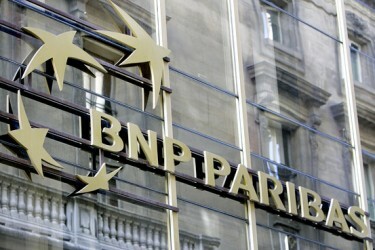 Polish BGZ Bank will be taken over by French BNP Paribas for a selling price of around € 1bn. The Raiffeisen Zentralbank (RZB) is facing severe restructuring and downsizing measures as it has to cut the number of employees. 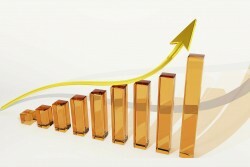 The Albanian economy from short-term adjustment toward long-term sustainable growth. Why Albania needs an agreement with the IMF. Chancellor Faymann referred to incalculable economic and political consequential effects due to the liabilities assumed by Hypo Group Alpe Adria. 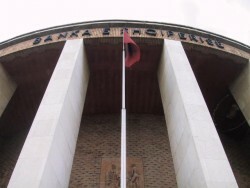 Sales proceeds of Bank Austria’s Kazakh affiliate ATF Bank only came at € 294m which is significantly less than announced by the bank in the first half year. Almost 15 percent of the total volume of loans in Bosnia are bad. 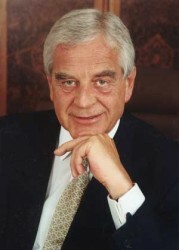 In a guest comment published by the Austrian business magazine Format, CEO of Raiffeisen Bank International Karl Sevelda refers to the high burden for Austrian banks. The Vienna Institute for International Economic Studies (wiiw) has published the economic forecast for the CESEE region today. The economic performance varies substantially from country to country. In 2012, the largest Russian bank took over VBAG´s sub-holding for the CESEE region. As Sberbank still has to invest a lot in the former subsidiary of Austrian VBAG, CEO German Gref is not perfectly satisfied with the acquisition. For Austrian banks, the assessment by the ECB may bring new difficulties. Non-performing loans in CESEE are said to be higher than officially known. UniCredit´s Austrian subsidiary and biggest Austrian bank faces job cuts and structural measures again. In terms of economic output, a large number of CESEE countries have not reached the level of 2008 yet. The growth outlook remains cautious. Despite an economic acceleration, the macro-economic frame conditions remain difficult in 2014. A major risk factor is the fiscal situation. The European Bank for Restructuring and Development (EBRD) warned that Eastern Europe and the countries of the former Sovjet Union could remain “stuck in transition”, which is the titel of the current report. 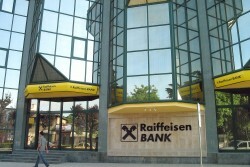 Raiffeisen Bank International, the third biggest lender in CESEE, injects € 10m into the Slovenian subsidiary. Apart from the withdrawal from Ukraine, Raiffeisen Bank International (RBI) considers an exit from Hungary. In order to avoid another asset bubble like in 2008, loan growth has to be monitored, governor of Austrian National Bank Ewald Nowotny says. According to Ewald Nowotny, governor of the Austrian National Bank (OeNB), indicators point toward a slow recovery in the next quarters. The second-biggest lender in the CESEE region, Austrian Raiffeisen Bank International, confirms the intention to sell the Ukrainian affiliate Aval. The partially nationalized Austrian bank needs further capital injections next year. Russian Sberbank aims to become more efficient. 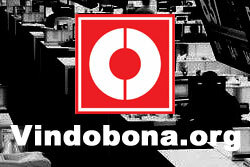 The management cuts about a tenth of the jobs. Today, the EBRD (European Bank for Reconstruction and Development) has published its economic outlook for the CESEE region. The reform pressure is growing, Anthony Willams at EBRD wrote. According to the autumn forecast published by the EU Commission on Tuesday, Romania will exceed the previous estimates. According to the EU’s autumn prognosis, nationalized Hypo Group and its liabilities running in the billions still have a restraining effect on the Austrian budget consolidation. Since 2008, about 10% of the banks had to be closed in the Eurozone. In the last five years, 16,200 bank shops were shut down. In Austria, the situation is almost the same. Major banks in Austria demand tax reliefs in return for a participation in Hypo Group Alpe Adria’s bad bank. In case further aids will become imminent, Austria could lose its rating. “Non-Enlargement” of Western Balkan states would be fatal for Austrian businesses operating in the region and the national economy. 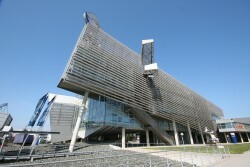 Due to national and international regulations, Austrian banks have to bear higher costs than their foreign competitors.